In tourism industry perceptions are major influencing factors of visiting a destination. Tourism products cannot be pre tested prior to purchase. Therefore tourists rely a lot on perceptions and images of a destination. India is generally known for its myriad of culture, spirituality, climate and diversity. Image of India has suffered a tremendous jolt overseas after a few incidents of rapes and crimes have surfaced against women. Keeping this in mind this paper is an attempt to find out the risk perceptions of foreign women travelers to India and whether they consider India a safe destination for women. They were administered questionnaires taking the parameters that Gunn, 1972 had introduced. A sample of 100 international women tourists was selected randomly and on judgement basis. General perception of women tourists about India on safety and security of women was not positive. It was concluded through the survey that though women travelers had security and safety issues in India yet they found the country worth visiting again. 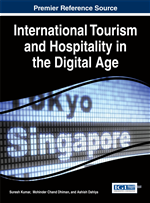 In tourism context, perception is considered as a major influential predictor in directing decision making and consumer behaviour (Richardson & Crompton, 1988; Woodside & Lysonski, 1989). Tourists’ images of the place are built more on their perceptions than reality because tourists are not able to pre-test the tourism product prior to actual experience (Gartner, 1993). Travel research provides ample evidence for the fact that the tourism experience is associated with risk (Bentley, Page, Meyer, Chalmers, & Laird, 2001; Phillip & Hodgkinson, 1994; Roehl & Fesenmaier,1992). Destinations have to deal with image problems. There are perceptions about France, Britain and Germany being the rudest nations. There are certain images associated with every country and India is no exception. India has a perception among foreign tourists of being an overtly populous, congested country exhibiting extreme poverty and posing challenges of hygiene. Now India is also being considered a very unsafe country for women travelers. There has been a spate of violence against women in India which has been widely highlighted by the media. Travel and tourism industry is directly affected by such incidents in a destination. Image of a destination plays a pivotal role in selecting a destination for tourism activities. There are perceptions in the minds of tourists about a certain destination. Reisinger & Mavondo, 2005 define risk perception in a tourism context ‘as what is perceived and experienced by the tourists during the process of purchasing and consuming traveling services and at the destination’. According to Moutinho, 2000, ‘perceived risk is a function of uncertainty and its consequences experienced during the purchase decision’. Risk perceptions are influential factors in decision making phases (Maser & Weiermair, 1998; Sonmez & Graefe, 1998a). Risks may also include social and psychological risks (Weber, 2001). If a purchase is perceived as risky, consumers will employ strategies to reduce the perceived risk until it is below their level of acceptable risk or, if they are unable to do so, withdraw from the purchase (Dowling & Staelin, 1994).Types of perceived risk vary by destination (Sonmez & Graefe, 1998 a). These perceptions are based on the images of destinations projected by media, travel advisories issued by countries or people who have firsthand experience of visiting that destination. Safety issues are usually of utmost importance for the tourists. Fear of foreign usually lurks behind every traveler. Issues of safety, larceny, hygiene or becoming victim of a sexual attack are always in the minds of tourists. It is believed that tourists are the soft targets for criminals in any destination since they easily stand out from the natives of a place (Barker, Page, & Meyer, 2002; Meyer, 2002; Chesney-Lind & Lind, 1986; Fujii & Mak, 1980). This fear may become a deterrent to indulge in travel and tourism in case of women travelers.